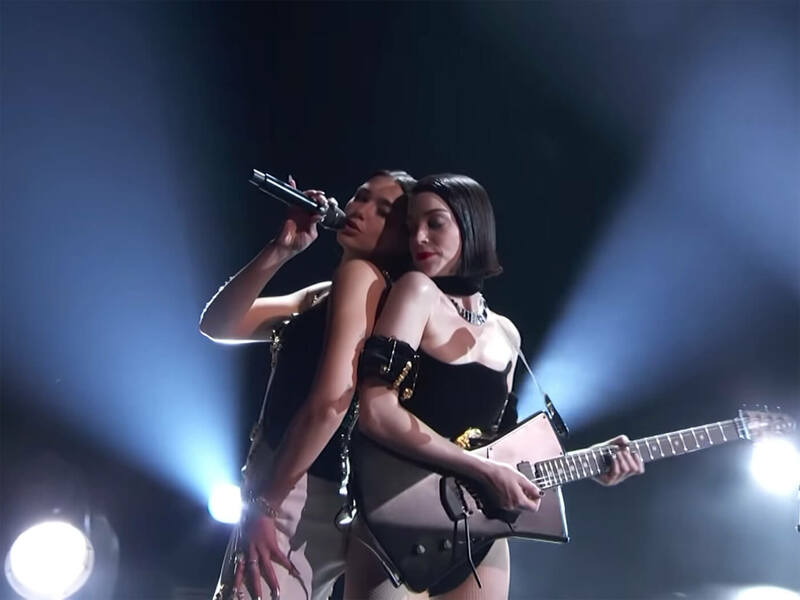 At the 61st Grammy Awards, St Vincent (aka Annie Clark) and Dua Lipa joined forces on a mashup of their solo tunes. The indie rocker opened proceedings with a stripped-down version of Masseduction, before Lipa hopped onstage for One Kiss, her collaboration with Calvin Harris. Instead of a beat drop, their rendition was crowned by a searing guitar solo from Clark, delivered on her signature Ernie Ball axe. The title track of St Vincent’s fifth studio album, Masseduction picked up a Grammy for Best Rock Song that same night. Lipa, on the other hand, took home the Grammy for Best Dance Recording for Electricity, a collaboration with Silk City, and the Grammy for Best New Artist. View the full list of Grammy nominees and winners here.